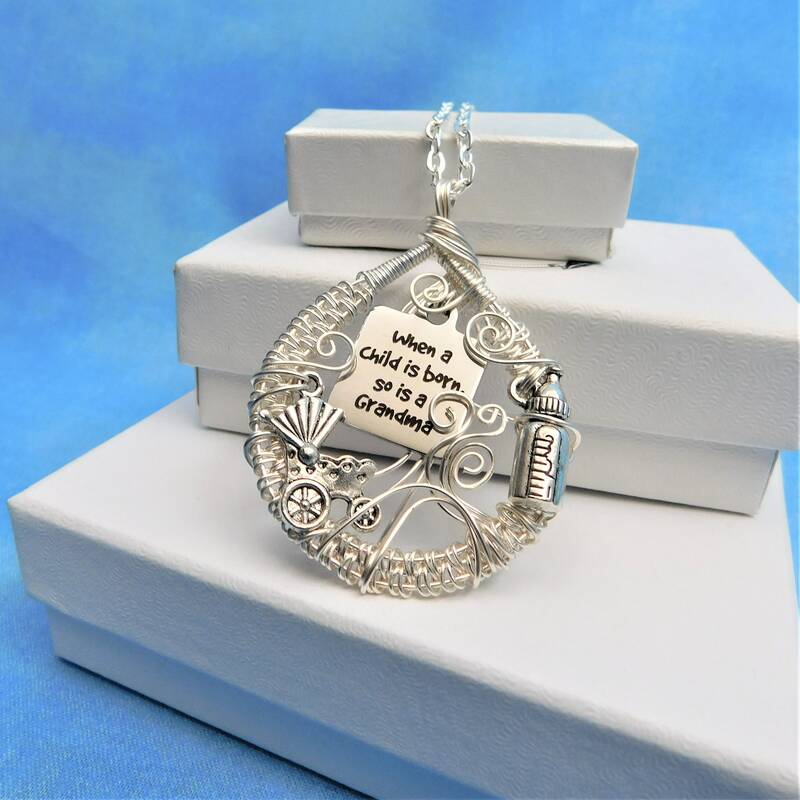 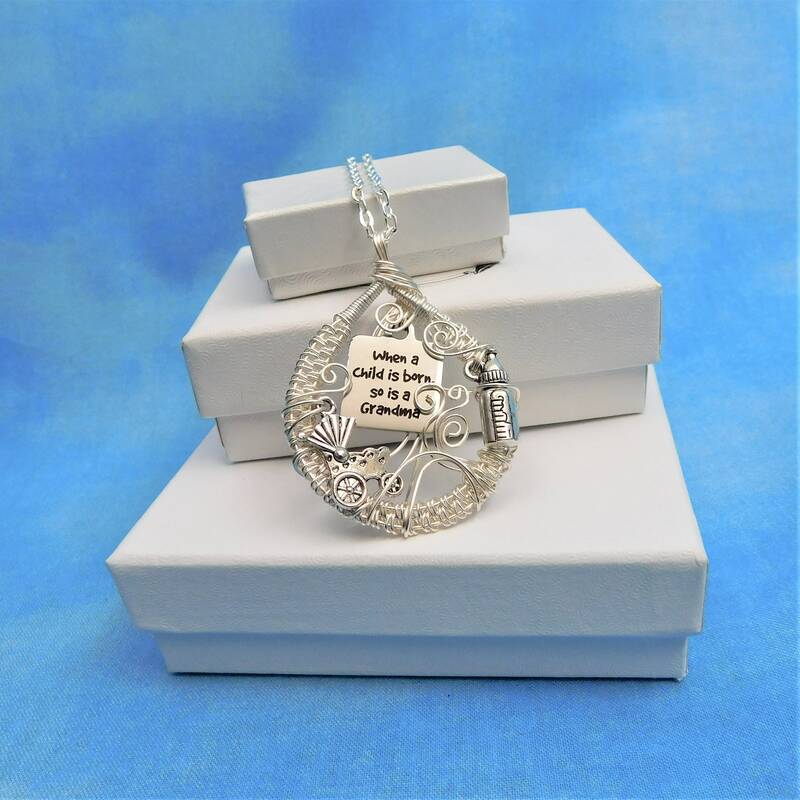 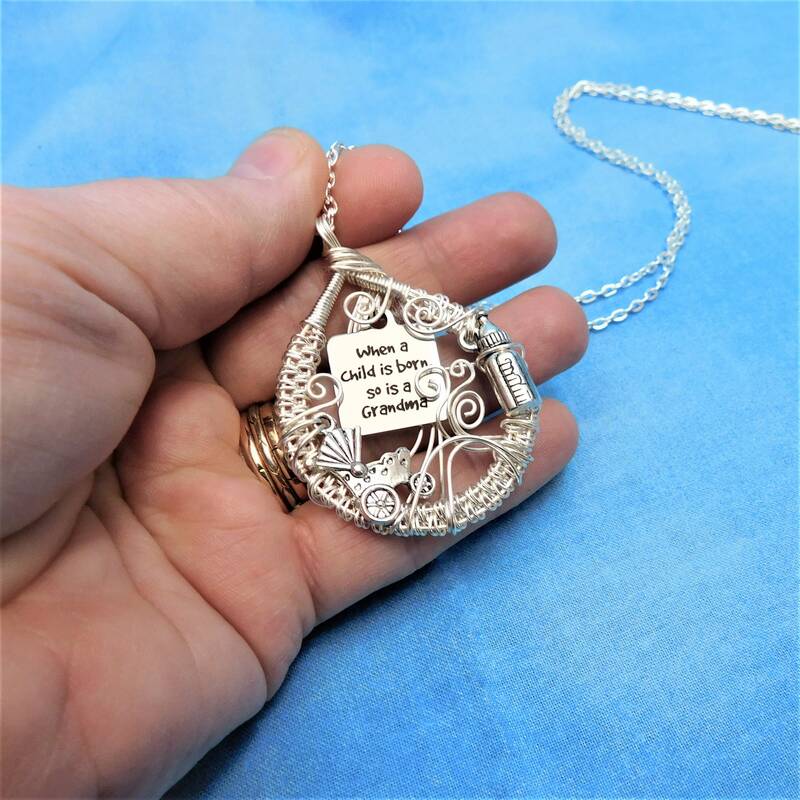 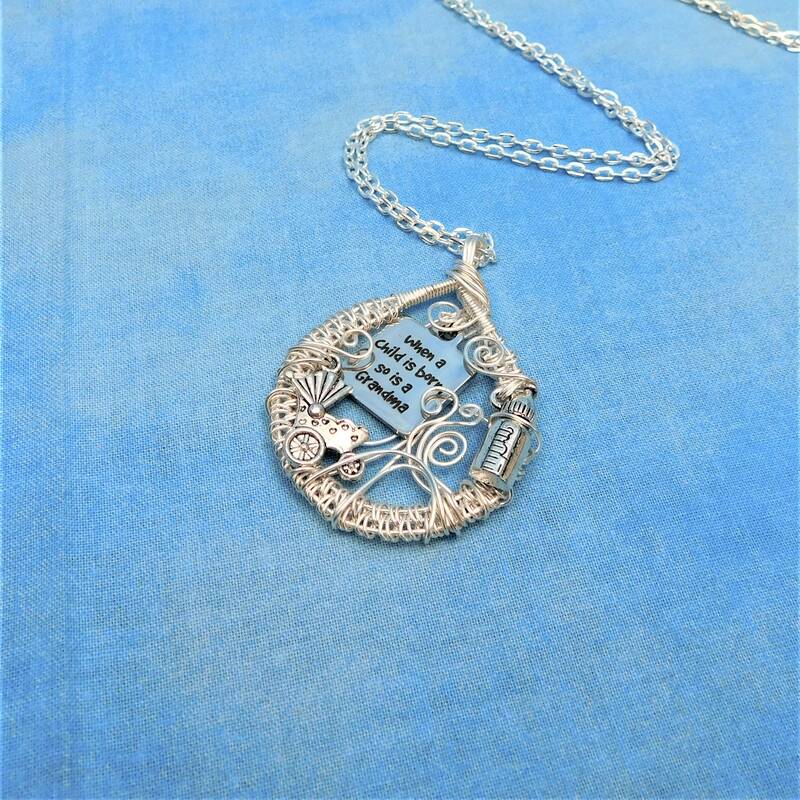 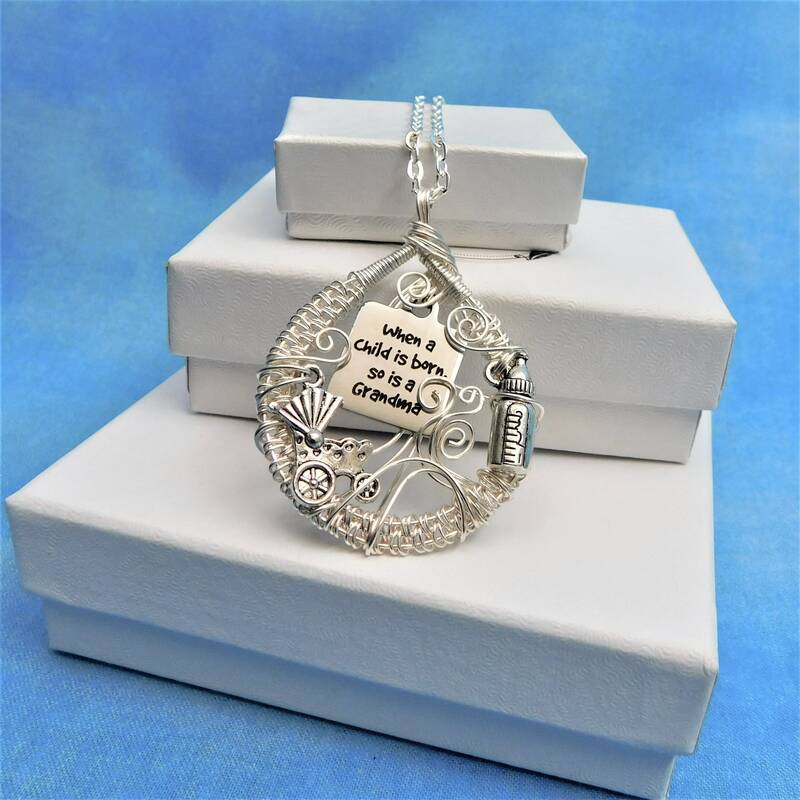 A baby carriage and a baby bottle are worked into a meticulously woven wire frame, encircling a charm that declares "When a child is born, so is a Grandma". 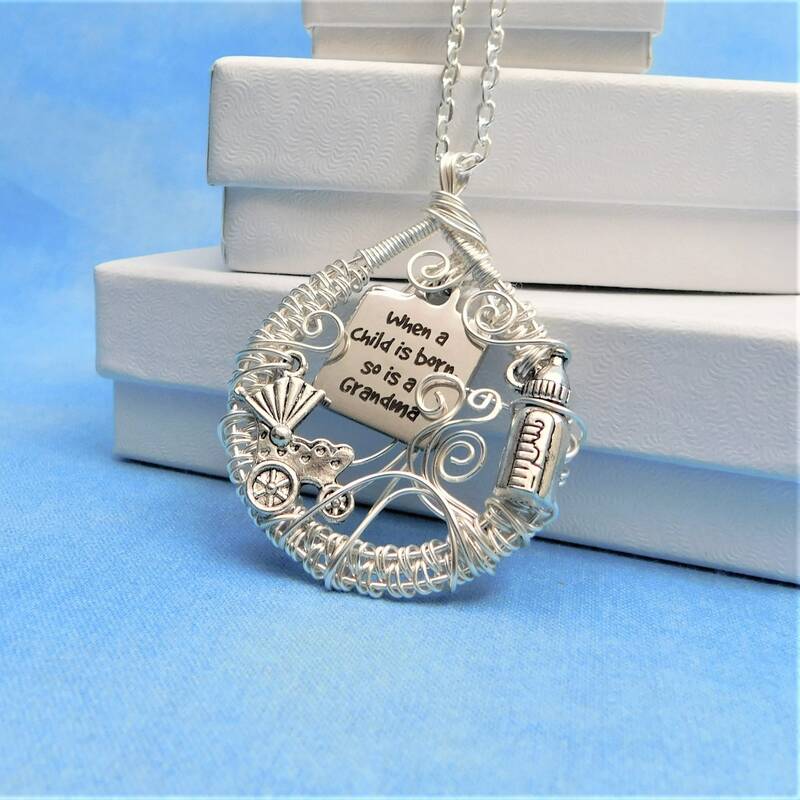 What a special thought. 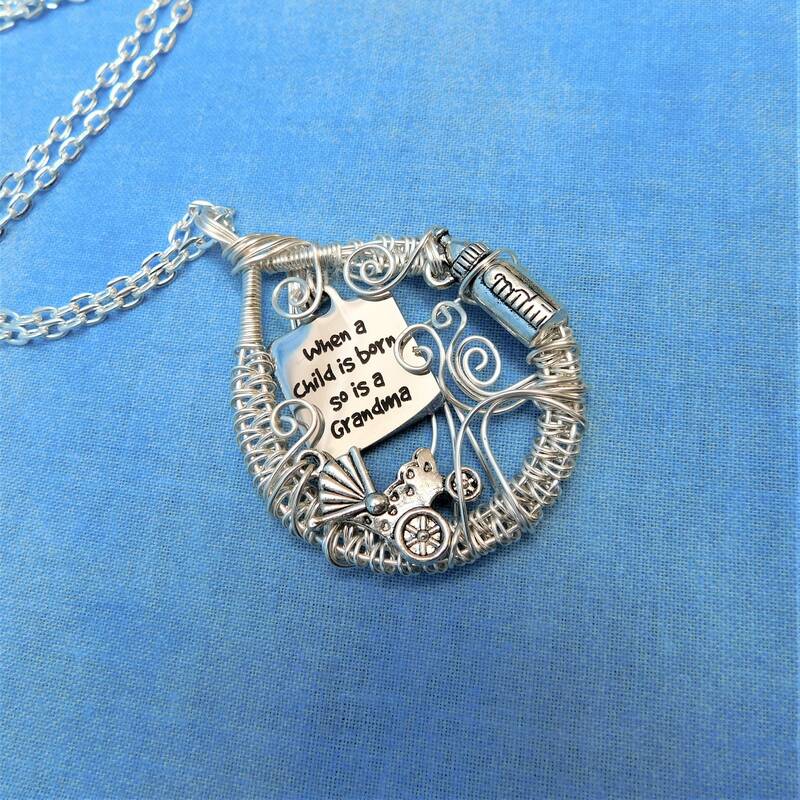 Share your feelings about the grandma in your life. 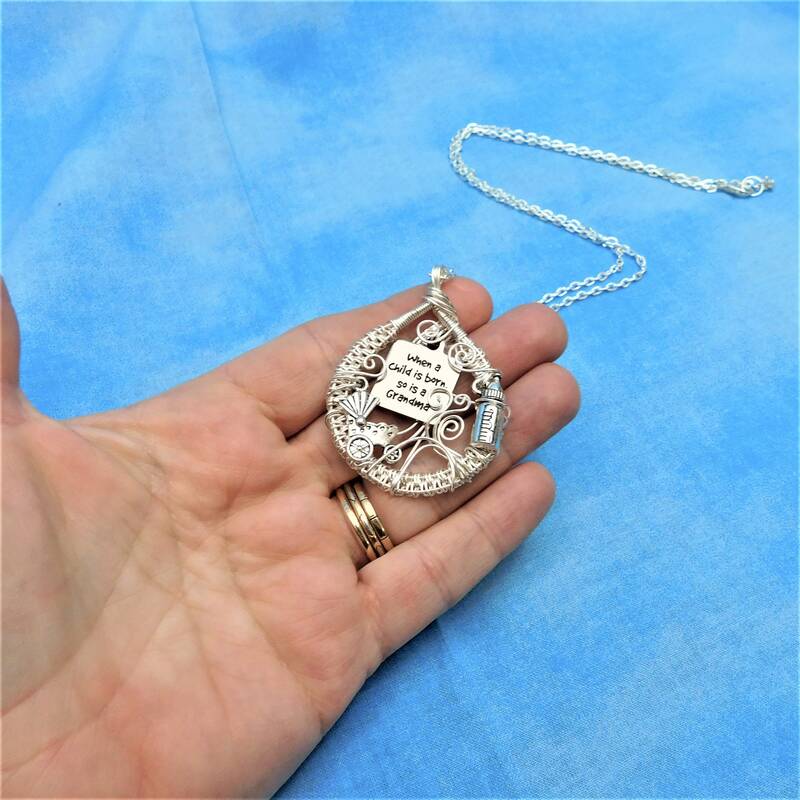 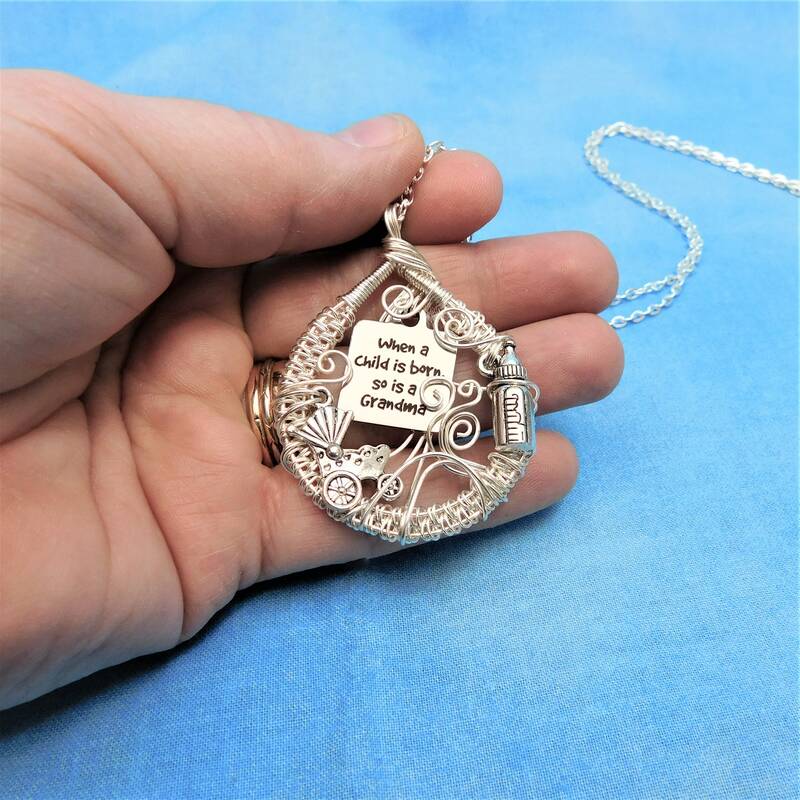 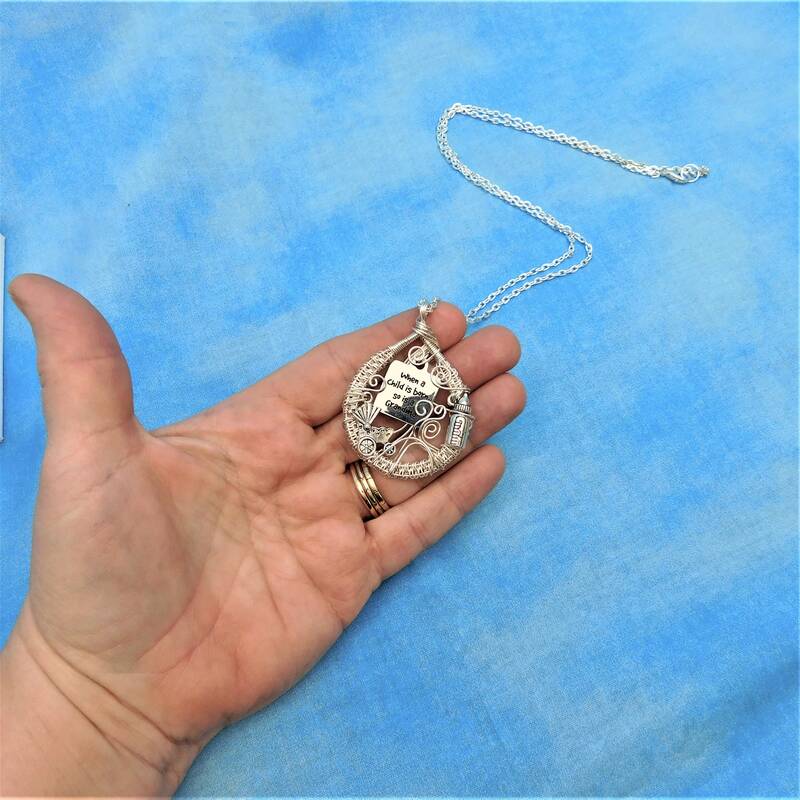 The pendant measures 2 inches by 1 1/2 inches and comes with a FREE coordinating chain, measured to your preferred length.